The way the designs work is that the lighter the colouring, the higher up that part of the map is. Ramps are therefore represented by gradients. 100% white means that it is a wall. (although this may be hard to distinguish depending on your monitor's brightness and contrast) Dotted lines represent a part of the map which is obscured. eg a walkway that goes beneath another walkway or a door underneath a platform. Orange represents a hazardous zone eg lava or a bottomless pit. Here is a key for pickups in the map. I've used the 2k4 shields as icons because they are easy to understand. So this first map is a 3 floor map that takes inspiration from roughinery, intended for 1v1s (although I think I would need to take away a few health pickups to make this reasonable) or for 2v2s. I want the centre platfotm where the 100 health is to be fairly difficult to access due to the large amount of health obtainable there. Also, the LG is up there which is pretty powerful in such an open map so it makes sense for people to have to go out of their way in order to get it. I had considered putting the LG where the RL is now but I think it would encourage camping. Especially considering how sheltered the platform above the keg is. The 100 Shield placement takes inspiration from roughinery. It's arguably the best pickup in the game (even better if I were to replace it with the 150 Shield belt) so it should have a significant risk associated with obtaining it. The pit is below the rest of the map and can be bombarded from above (kinda like the 100 Shield in DM-1on1-Reverse) and only has one safe exit. You can get into the pit from the Bio room to the north but you need a hammer jump to get back out this way, so timing and map control will be needed in order to pull off a shield grab without taking any damage. I chose to put in 2 Link/Pulse pickups and 2 Bio pickups as they seem to me to be the most underpowered weapons. This may change however. It's also pretty unclear that there is a lift at the bottom right corner of the map by the Link/Pulse pickup which takes you from the ground floor to the 1st floor and you can perform a lift jump in order to access the 2rd floor. This second map is significantly smaller than the first. It's only a 2 floor map, based on a quake style of architecture with lava and an extremely hazardous 100 Health location. As for pickups, the health in this map is much more sparse than the previous one. This is due to the lack of health vials, the placement of only single health pickups, instead of pairs of 25s. The inclusion of the AMP and lack of 100 Shield pickup will also mean that health should make health ad armour a more valuable resource and will hopefully encourage more tactical gameplay, relying on stealth, and map knowledge, rather than a standard run and gun approach. This may also backfire, leading to a 1HKO double damage LG hitscan rage fest, in which case I would be happy to replace the AMP with a 100 Shield. I am also considering changing the layout of the weapon pickups. As for now, the LG will be staying on the ground floor, away from the AMP, as this would obviously create some overpowered issues, where you could simply win a game by grabbing the LG and AMP and going on a killing spree, due to the small size of the map. If the Amp were to be swapped, as discussed previously, I would probably change the weapons to something like this. As for the 100 health pickup, this has the potential to create some interesting gameplay flows. The area is not accesable fromthe amp room however It's possible to shoot through the wall from all sides, creating an almost death trap-like area. Furthermore, the access from the link/pulse spot is only one way unless you hammer jump back out again. Hopefully this will help to increase the value of health pickups in the map and encourage the timing of pickups and the use of map knowledge to grab or prevent your opponent from grabbing the keg. So i'd like to thank everyone for giving advice and feedback on the maps so far, am working on the improvements that some of you suggested. One thing I failed to make clear was that I do not currently own UE4 as the subscription fee is too much for me at the moment so am unable to make the maps myself. I was wondering if there is any way to download the latest version of the editor for the $20 price and keep that version for a few months until I want to submit something where I would pay the $20 fee for that particular month. I've heard of people downloading the engine then cancelling the subscription but I wasn't sure if this was considered "legal" as such. If it is in fact a "legal" thing to do then It would be a great opportunity and I would start making the map shells within a few days. Anyway, I've designed a new layout. In this particular diagram there are 2 sections, one is the main area, consisting of a main floor and a slightly higher level, and the other is underground. These sections are connected via lifts and holes in the main floor (indicated by sky blue). I appreciate that it is pretty difficult to see the difference between the holes that connect the 2 sections and the upper level of the main floor but the image came out looking fairly different to how I anticipated. I drew inspiration from a Xonotic map (the name eludes me) and hope to create a similar flow of gameplay, with lots of z-axis movement, as I personally find this style to be where the UT series shines. The health packs are in fairly hazardous areas in this map, as you have to jump over the holes that connect the two areas in order to reach them, leaving you vulnerable to rocket and flack spam. I put the LG and Shock on opposite sides for balance purposes. The 100 shield requires you to jump down the hole which makes it a risky and time consuming pickup grab and the 50 shield area and flack area are enclosed walkways which are vulnerable to spam. The lifts (brown) and jump pad should offer fast ways to get out of the underground area and you can do some lift jumps to reach the upper areas of the main floor. The underground may seem to be a fairly pointless space and I was planning to add a significant pickup like a keg or an amp to make it more appealing but the main reason It exists is to offer a fast means of travel across the map. A few wall dodges and a lift jump should get you to your destination far quicker than running around on the main floor. It should also offer some more spacious areas to fight in and would be perfect for a Ripper pickup if it were to make it into the game. Hopefully more concepts on their way soon. So I finally subscribed to UE4 and spent most of yesterday + today blocking out my third map design. It's fairly small, which is how I wanted it as it's designed for duel only, and the 2 floor design has worked really nicely in my opinion. I changed the layout on the underground floor, I wasn't really sure what I was going to do in the first place and the shape I drew on the map concept was just a random shape anyway. I tried to make it a bit more interesting and added a bit of diversity in the floor height + a few tiny slope dodges. The lifts are also fully functional and lift jumps are entirely possible. I added a few health vials around the place. Also due to the recent Armour value changes the 50 shield chestplate is now the 100 shield chestplate and the 100 shield belt is now the 150 shield belt. I'll wait and see how this plays out but seeing as rockets and flack do so much damage, this probably won't be a big problem. So here is a tonne of screenshots of various parts of the map at various angles. I'll probably work out how to share the map in the next few days and see if I can get it put up on one of the EU duel servers. My hard drive has terrible transfer rate so It can;t handle recordings -_- I may be getting an SSD soon but for now you only get screenshots :P They're all at 100 FOV so it may seem a little cramped. yeah it's meant to be spelled "SWICH" cos that's te second half of my name and... etc blah blah... It's temporary ok! Looks like a good start, nice job trying to make it clear visually, although its still difficult to understand some of the overlapping parts. One thing that I used to do is make each of the different floors a separate layer in photoshop and then just post separate pictures labeled Level 1, Level 2, etc. as well as a final overlapping photo. 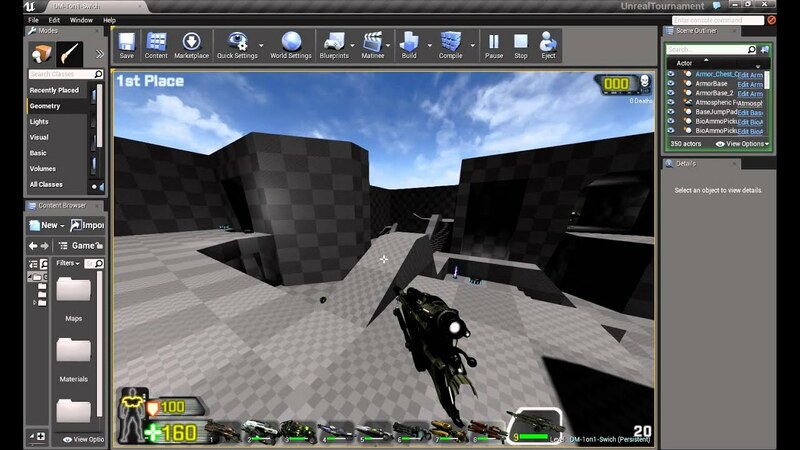 however you wont truly know how well the map will look and play until you start building. Id suggest diving in and blocking the basic layout as a next step. Good Luck! I like the design of the second picture because it have more open spaces for combat while the first picture looks a bit more "closed in." Most popular maps uses two floors because three can be a bit frustrating. You spend more time reaching the top floor to find what you need instead of fighting. Now it also depends on the size of the map it self and the number of players the map is made for. Item placement can be quite hard to decide at first after just seeing the pictures. Back in the old days when I used to make my own maps I always had to play the maps to test where items and weapons should be placed. Mostly if I felt like I was dominating the game it basically meant it was too easy and it needed rework. Though it is a good idea to draw the maps as you did, so thumbs up. Nice concepts and great advice from everybody. You obviously put a lot of thought into this, looking forward to seeing the shells! Just had a quick look at the pics, didn't actually read anything. :P They look pretty good IMO but I think there's room for improvement when it comes to the weapon layout. One of the admins should sticky this thread.